RBC Capital Markets has predicted a favorable outlook for 20 Canadian stocks based on their potential to capitalize on US President-elect Donald Trump’s “good policies” while being somewhat insulated from downsides, according to the Financial Post. 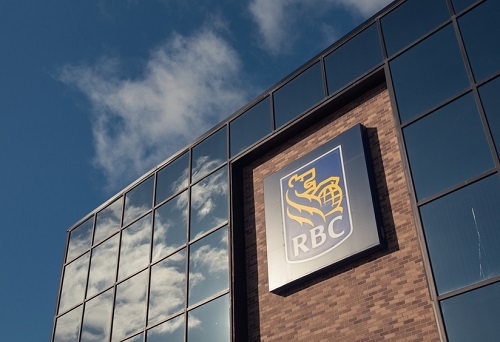 “Canadian companies stand to benefit from President-elect Trump’s policies in two ways: 1) The direct impacts from lower corporate taxes and fewer regulations and 2) The impact of stronger U.S. growth and the flow through to Canada both through better domestic growth and some of the knock-on impacts,” wrote RBC analyst Matthew Barasch in a research note. On the other hand, trade and barriers that president-elect Trump might put up would offset such benefits. Filtering companies based on their potential gains from significant US revenues (which would benefit from corporate tax cuts espoused by Trump), association with US growth, likelihood of profiting from rising interest rates, and possible gains from tighter oil differentials and increased oil demand, 20 stocks were listed based on their potential to see gains during the Trump administration. From the financial sector, TD Bank, Manulife, Sun Life, FirstService, and Onex were selected based on their US-derived revenue. Consumer companies Alimentation Couche-Tard, Magna International, Thomson Reuters, New Flyer Industries, have rosy prospects based on their US earnings and potential to gain from increased consumer demand. A projected increase in infrastructure spending will likely bode well for industrial firms CN Rail, Stantec, and Stella Jones. Tech firms Shopify and CGI have significant portions of their revenue coming from the US. Meanwhile, materials firm Franco-Nevada’s royalty structure and recent share price weakness “present compelling leverage” to risks under a Trump presidency, while Toronto-based wood panel producer Norbord Inc. could get a lift from a sustained US housing recovery. Among energy companies, Imperial Oil and Cenovus will likely benefit from Trump greenlighting more pipeline capacity; TransCanada stands to gain from the potential approval of Keystone XL, while approximately 47% of Precision Drilling’s revenues come from south of the border. Should investors be taking cues from Trump? How should advisors react to the unpredictable energy market?